With over 1000 Buddhist temples and 400 Shinto shrines, it goes without saying that Kyoto is literally chock-a-block with hidden gems and secret spots. One of the great joys of sightseeing in Kyoto is finding a quiet temple or shrine and having it all to yourself for an hour or two. 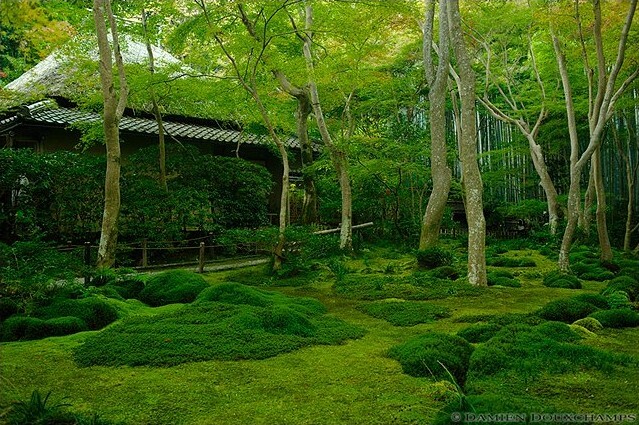 Honen-in Temple: Passing through the moss-covered gate here brings is like entering another world. It’s right around the corner from bustling Nanzen-ji Temple, but it rarely gets crowded here. Shisen-do Temple: This fine little temple is the perfect place to sit and think. It’s located just a bit too far north for most people to go, and that’s all for the best. While you’re in the area, be sure to check out nearby Manshu-in Temple as well. Nanzen Okunoin: Located up the hill and in the woods about 200m east of Nanzen-ji Temple, this grotto one of my favorite places in all of Kyoto. You can feel the power of nature all around you and you can understand why the earliest residents of the city considered this a sacred place. Gio-ji Temple: Gio-ji Temple is far enough off the main Arashiyama sightseeing route to escape the crowds that plague other nearby temples. 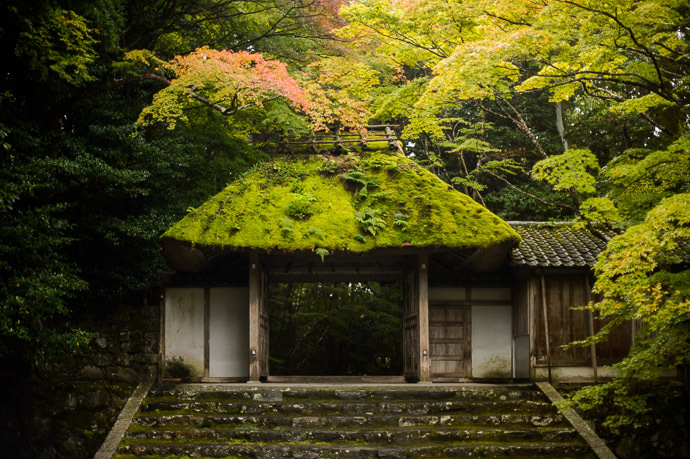 But those who make the trek up here are rewarded with the most incredible moss garden you’ll see anywhere – a rival for the famed moss garden at Saiho-ji Temple. Saimyo-ji Temple: One of three temples in the northern mountain hamlet of Takao, this is a special place. It’s surrounded by greenery and you can usually count on having the place to yourself. Don’t miss the little grotto down by the waterfall behind the main precinct. Koto-in Subtemple at Daitoku-ji Temple: Every one of the subtemples in the sprawling Daitoku-ji Temple complex is superb, but Koto-in really takes the cake. The approach here is magical. Tenju-an Subtemple at Nanzen-ji Temple: Nanzen-ji is surrounded by interesting little subtemples, but Tenju-an will always be my favorite due to the beauty of its garden. Most folks just stream by this place on their way to the main hall of Nanzen-ji, but don’t make this mistake. The entrance is just across from the south end of the towering Sam-mon Gate (ceremonial main gate of the temple). Murin-an Villa: Just downhill from the busy Nanzen-ji Temple, entering this little pocket garden is like passing through the wardrobe into Narnia. If you’re interested in seeing more of hidden Kyoto, be sure to check out my Off The Beaten Track itineraries, which gives you step-by-step walks through Kyoto districts that show the secret side of the city.